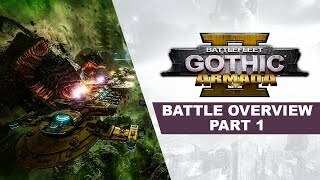 1/24/2019: Naval battle strategy in the 41st Millennium. 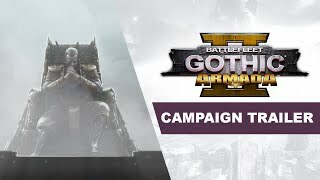 1/17/2019: Tindalos Game Director, Romain Clavier, joins Focus' Ben Barrett to break down the game's grand strategy campaign. 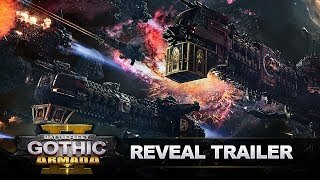 1/11/2019: Battlefleet Gothic: Armada 2 comes with three full grand campaigns letting you control humanity's combined Imperial forces, the ancient re-awakening Necron empire, or the ravenous extra-galactic horde of the Tyranid Hive Fleets. 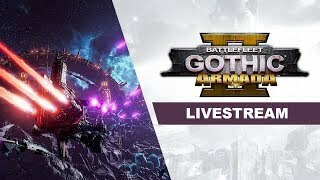 12/5/2018: Battle-turning abilities, alternate ways to destroy your enemies, and new battlefield complications that make every fight unique. 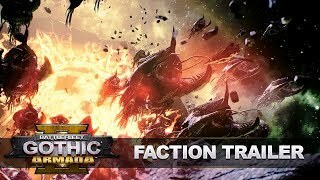 11/26/2018: Larger fleets than ever clash to control the Eye of Terror and the surrounding Aegis Ocularis region. 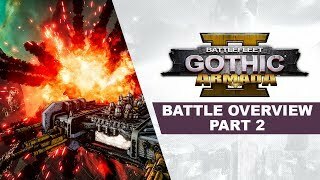 8/31/2018: The fury, glory, and fear of space battles in the 41st millennium. 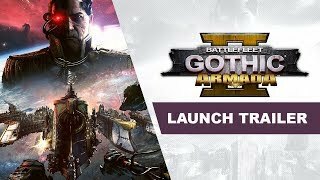 1/31/2018: Meet the team of long-time Warhammer 40,000 fans behind Battlefleet Gothic: Armada and learn what they are bringing to the sequel. 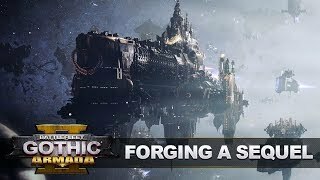 1/24/2018: The Gathering Storm and the 13th Black Crusade serve as the backdrop for this Warhammer 40,000 space battle game.